Several of our NEPA Bloggers have celebrated significant Blogiversaries lately and I thought it would be fun to do a post and call attention to their accomplishments. 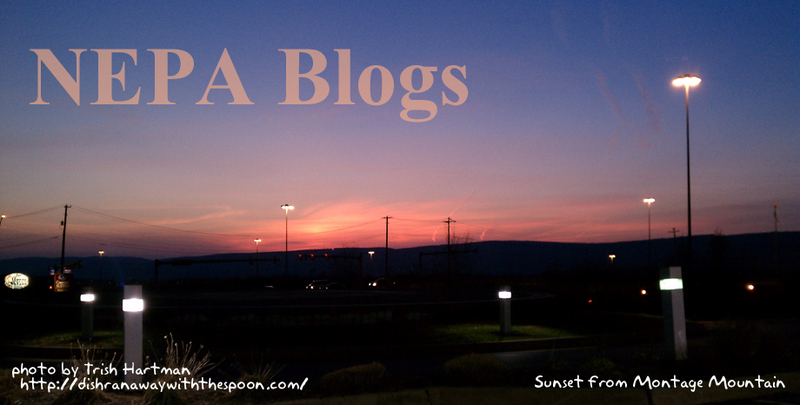 We often find that we are the kiss of death in NEPA Blogging. Bloggers will delete their blog or stop posting right after we add them to our blog roll. Maybe its because we have drawn attention to their blog, or maybe the blog author simply got bored with it, we can never be sure. Harold, Gort and I have seen many a blog come and go over the years. Which is why I think keeping a blog around for a year or longer, shows dedication and should be celebrated. Congratulations! We hope you keep blogging for many more years to come. (Check out the awesome cake I baked for you all. Shannon Nelson, who has appeared recently on our Blog of the Week segment on PA Live! told us on Facebook that she will be celebrating her 7th anniversary of blogging in October of this year. Congrats Shannon, you make it look effortless! Congrats on your labors of love ladies! 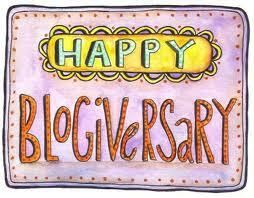 Have you recently celebrated a blogiversary and we missed you in this post? We're sorry! Let us know in the comments! 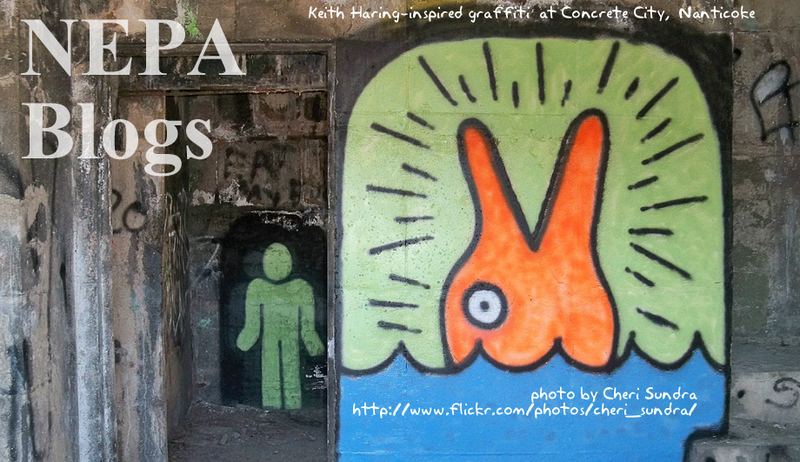 This week's header image is by Guerrilla Historian and Urban Archaeologist Cheri Sundra, and is a view of some of the graffiti inside one of the structures at the abandoned Concrete City in Nanticoke. Concrete City was once a small company town, a cluster of family residences, but was abandoned many years ago. Afterwards it was used as a training facility for local firefighters. Even after all these years of abandonment, exposure to the elements, and abuse, the structures are still solidly standing. Now that local firefighters have a dedicated training facility, the old structures of Concrete City have become a playground for paintball enthusiasts - and a canvas for graffiti artists from all over the world. The art there is inherently transient: the paintings present one week may be vandalized or painted over the next. I recently visited the place for the first time, and realized two things: you should always have your camera with you, and if you go to Concrete City, you should be prepared to deal with ticks. 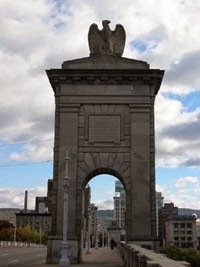 Concrete City is one of the hidden treasures on Northeastern Pennsylvania that are appreciated by people from outside this area more than by lifetime residents. Cheri Sundra and people like her are doing a great job bringing these places to the attention of the rest of us.If you know of any other hidden treasure of NEPA that you'd like to see featured in our header, take a photo and send it to us at nepablogs@gmail.com . Our PA Live! 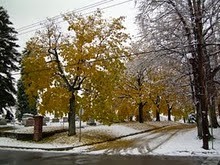 Blog of the Week this week is local artist Jenn Danza's Cool Blue Studio (http://coolbluestudio.blogspot.com/). Jenn Danza is a Nanticoke-based artist who specializes in meticulously painting horse figurines. Her work is detailed on a stunningly small scale, as demonstrated in this photo essay on the stages of painting a horse's hooves. Many of her horse figurines are painted on a commission basis - she is painting them to order for paying customers! Jenn also paints extensively in watercolors. Often she paints found natural objects - a bird's egg, some flowers, even objects in states of decay that others might not find beautiful, but that Jenn transforms into works of art through her skill. She has a signature series of paintings of two little mice who frolic, sleep, get drunk - and even get carried off to be a bird's dinner. Many of these images are built around found objects - including fortunes from fortune cookies! Some of these paintings are available for purchase. If she has time, Jenn will even take commissions - just in case you found the absolutely perfect fortune that you want to see built into a work of art! Jenn is a fan of found objects, transforming castoff pieces of furniture into works of art. And she has a special affinity for discovering hearts everywhere - heart-shaped stones, heart-shaped stains, even a marking on a green-eyed jumping spider shaped like a tiny heart! Jenn Danza is one of the many amazingly talented and creative people who call Northeastern Pennsylvania home. In her Cool Blue Studio blog she shares some of that creative process with us. Read it daily, and see what she has to show us! As you are aware from the previous post, last night was the NEPA BlogCon Launch Party. I'm sure there will be a lot of photos flying around as soon as everyone wakes up (Pssssst - WHY AM I THE ONLY ONE AWAKE AT THIS HOUR?). A good time was had by all who attended, and we thank everyone for coming out and showing their support of NEPA's first ever blogging and social media conference. To ramp up excitement for our event, Darling Stewie worked with Jason Valenti who runs the blog "PwnVFaiL" to create a social competition relevant to the conference. If you did not have an opportunity to attend, you did not get to find out who won the #BATTLE4THEINTERWEBZ on Twitter. What exactly is PwnVFaiL? PwnVFaiL is a social gaming space. It's a social competition between two things played in real-time, using Twitter. Its an extremely different and interesting take on blogging AND gaming. Our competition for the #BATTLE4THEINTERWEBZ" pitted several popular Internet memes against each other in a March Madness type of bracket setup until there was one winner left. As it would turn out, "Scumbag Steve" conceded to Nyan Cat in the final round. You can also find PwnVFaiL updates on Twitter (@PwnVFail) and Facebook. Thanks again everyone for coming out! Look for more exciting updates about NEPA BlogCon in the coming months. 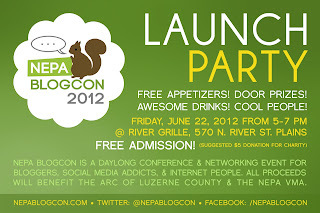 NEPA BlogCon Launch Party is TONIGHT! The Squirrel Girls of the Fearsome Foursome of NEPA BlogCon would like to invite you to their website launch party this evening from 5-7pm at the River Grille in Plains. Directions and a menu can be found by visiting http://rivergrillenepa.com. RSVP on the Facebook event page here. We’re ready to launch our website (*ahem* http://nepablogcon.com) and give one of those super cool press releases about our event! Come get a drink and enjoy free appetizers, door prizes, and cool people! The Launch Party is a free event but there is a suggested $5 donation. All proceeds benefit 2 local charities (The Arc of Luzerne County and the NEPA Veterans Multicare Alliance). But you don’t have to pay it! And we won’t make you feel guilty if you don’t! Come socialize with the Fearsome Foursome, Michelle, Mandy, Karla and Leslie. NEPA BlogCon is a day long conference held on September 29th at LCCC that’s so much more than your average “Hey, let’s talk about blogging,” event. If you’re looking to learn the REAL scoop behind what makes the blogosphere the place to be nowadays, then this is the event for you. Besides offering you a chance to network with your fellow post slingers, NEPA BlogCon will include panels and sessions related to blogging and Internet things. Don’t worry if you’re not old hat – NEPA BlogCon is for bloggers of all walks of CMS. Not a blogger? This may be the perfect event to get your start with. We hope that we'll see you tonight! Night & Day: Parenting in shifts is the Tumblr blog of journalists Steph & Mike Sadowski. This is not your average "mommy blog", folks (not that there's anything wrong with that). They are a Mom and Dad on a deadline....a deadline to two little girls. From the about: We're a pair of journalists raising two little girls. Dad works days as a reporter; Mom works nights as an editor. We're in a constant relay race against tight deadlines. You can also follow the Sadowski family adventure on Twitter @sadowskifamily. 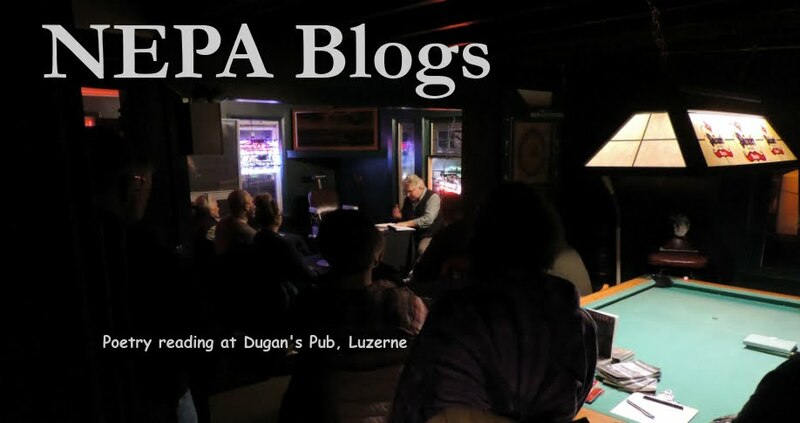 A few weeks ago Mike left a message in our NEPA Bloggers Facebook group: "There aren't many places that would appreciate this, but just thought I'd pass this along that, yes, there are awards for bloggers. This is from the Pennsylvania Press Managing Editors, who awarded the Poconos blog "PopRox" as best blog in its circulation category in the state Woo hoo!" Congrats to Mike! Keep on blogging! via the Blogfather Since the repeated misdeeds at the hands of law enforcement officials in Old Forge exploded into the news of late, this new site might be worth checking in on. This week's header image is another one by Shivaun O'Donnell of the blog Sundays With Shivstopher. It is photo of people enjoying Chalk Fest at the Wilkes-Barre Riverfront. Chalk Fest is one of the many family oriented events that the Riverfront hosts throughout the year. We decided to run with this particular image this week due to the upcoming Wyoming Valley River Fest event. River Fest is running from June 22-24th. More info about the event (including a list of activities, artists and musicians) can be found by visiting http://riverfrontparks.org/river-fest-2012.php. McDonalds of Northeastern PA (@MCDNEPA on Twitter) has graciously donated some coupons to NEPA Blogs to give away to our loyal blog readers. 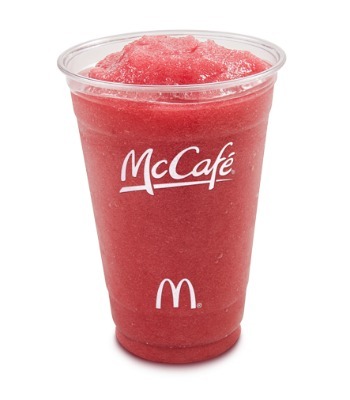 The coupons are for the McDonalds cool and delicious new summer drink...the Cherry Berry Chiller. I decided to try our hand at doing a contest/giveway. We have never done this before, so this is a first. Bare with us! All of the scavenger hunt clues have to do with NEPA Blogs. 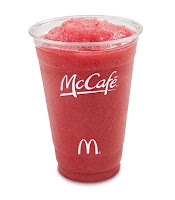 There will be five (5) questions (revealed below) and the first three (3) participants that email the correct answers to all five (5) questions will receive five coupons for the Cherry Berry Chillers in their snail mailbox. The coupons expire on 8/31/12. If you play your cards right, you can have yummy treat on your way home from work every afternoon. 1. 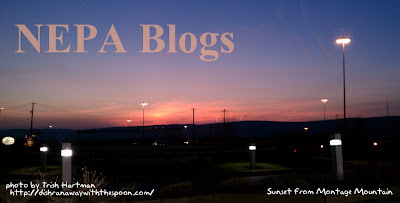 When was the first post on NEPA Blogs? 2. What's the Twitter address for NEPA Blogs? 4. When was the first NEPA Blogs Blog of the Week on WBRE's PA Live!, and what was it? 5. In March of 2012, what local weekly published a cover story on NEPA Blogs and Blog Fest? All winners will be notified via email and announced on the blog. The contest will go on as long as it has to, until we have our three winners! UPDATE 06/22/12: We have our first winner! Justin Vacula of the NEPA Freethought Society blog correctly guessed our five questions. We still have 2 more sets of coupons to giveaway and you don't have to be a blogger to enter! Get your responses in! Our Blog of the Week feature continues to be on hiatus this week, but we've resolved our scheduling issues and will be back on the air Tuesday, June 26 on WBRE's PA Live! A few months ago we ran into a problem with the updating blog lists along the right-hand side of the blog. The lists would lock up after a certain number of entries - how many seemed to vary - and after that you would no be able to add a new entry without removing an existing one. So I created a second list. This was an imperfect solution: what we wound up with was two lists where the most recent posts would rise to the top. The problem was, the most recent post on list 2 would come after the oldest post on list 1. Today I discovered that this limit seems to have gone away. I found I could add new blogs to the old list without locking up. So I began the tedious task of transferring blogs from list 2 to list 1. I didn't run into the locking-up issue again. But what I did notice was that after a certain number of blogs had been added to the list, the list would begin mangling blog feeds - both for newly-added and some currently-listed blogs. So I went to plan B. List 1 would contain only the most recently updated blogs. List 2 would contain blogs whose most recent post was two months or more ago. A third list, "Non-Updating Blogs," would include all the blogs that had not been updated in a year or more. It's still an imperfect solution. Blogs from list 2 could go to list 1 if they updated; on the other hand, non-updating blogs from list 2 could fall off and onto the non-updating list. Even blogs from the non-updating list could jump onto list 1 with a single post. Also, newly listed blogs would go to list 1 by default, but might be moved to list 2 or even the non-updating list. And eventually list 1 will "fill up" again, unless the problem is resolved. As of this writing list 1 contains 240 blogs, all updated between eleven minutes and one month ago (give or take a few days.) List 2 contains 88 blogs updated anywhere from two to eleven months ago, and 104 blogs count as "non-updating" for having not updated in over a year. These bugs and limitations are a major part of the decision to look into other platforms to host NEPA Blogs. Michelle is actively exploring these options, while I will continue to try to resolve the problems with the current platform. 1. New blogs will be put onto list 1 provisionally, even if their last update was more than two months ago. 4. Blogs from list 2 whose last update was more than a year ago will be moved onto the "non-updating blogs" list on a monthly basis. Remember: the best way to have your blog seen is to update it frequently! Word Fountain is a cut-and-paste Zine originating from some creative minds within the Osterhout Free Library. Word Fountain was born in 2009 and has since expanded. As of this writing, the Word Fountain zine is still accepting submissions for a special Hurricane Agnes edition. But hurry - cut-off date for submissions is the anniversary of the Flood of '72 - June 22nd! See here for more details. 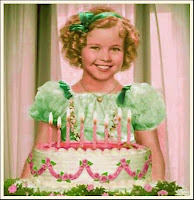 Edit by Michelle on 07/31/12: I found that the deadline for this submission has been extended via the 570Writers blog. This week's header image is another one by Trish Hartman. It's a sunset seen from Montage Mountain. Our area is sometimes gifted with spectacular sunrises and sunsets, and Montage Mountain is a great place to see them! If you have any spectacular views of Northeastern Pennsylvania that you'd like to see featured as our weekly header, drop us a line at nepablogs@gmail.com! Due to some scheduling issues, our Blog of the Week segment will not run today on WBRE's PA Live! This will be the first time we've missed a week since the show started in September of last year. Our apologies to the blogger scheduled to be featured this week. We plan to be back and on the air next week! LuLac tells us that Tony is the son of a friend of his from Pittston. Following six years in the military, and much time as a medic and firefighter, Anthony Antonello has witnessed the ups and downs in life. From spending time fighting for the United States Military, to the everyday horror covered on the local news, Antonello was there, witnessing events most only see from the comfort of their homes on a TV screen. Not allowing those images to simply absorb in the noise of main-stream media, there was only one thing left to do for the man from Northeastern Pennsylvania – become politically active. Antonello now travels the country, and covers stories and events showing people first hand what the mainstream media refuse to show, asking questions mainstream media refuse to ask and using whatever means possible to get people thinking. I watched his video of his pursuit of Nancy Pelosi in Scranton on YouTube. It was herky jerky and she ignored him. The Capitol Police warned him to back off because they thought he was stalking her. The Yonk told him to wear a tie next time. I am an R.N. by profession and have worked 30 years on night shift in a hospital based Physical Medicine( REHAB) unit. I am married to a great guy for 33 years and have 2 sons who are out on their own but live right down the road so we are finally empty nesters!!! We live in North Eastern Pa. in the Pocono Mountain region....My blog is a reflection of what I love in life so I hope you would be so kind to follow me along my journey! Debbie loves crafting, decorating, Christmas...her blogs are about all these these things and so much more! It's hard to describe them in a few short sentences. You must visit them to see for yourself! Blogs? As in plural? Yep. There are two of them that I stumbled across while reviewing a bunch of new Twitter followers on our @nepablogs Twitter account. Before you head out for a bite to eat in Scranton, check out these blogs for reviews, deals, and upcoming festivals which are sure to tantalize your taste buds! Colin Devroe is a perpetually fascinated NEPA blogger residing in Jermyn. I learned about his blog through Jason Gaylord, Karla Porter and the lovely Darling Stewie. Colin is also known in our circle as "the Viddler guy". Colin was one of the founders of Viddler an online web video content management platform. More details can be found about the Bethlehem, PA business by checking out their website here. Colin blogs about technology, photography, his diet, and live in general. He has a little something to interest everyone. We are looking to invite Colin to be one of the speakers at NEPA Blog Con which is happening on Saturday, September 29th 2012 at the Technology Center of LCCC. Stay tuned for upcoming announcements about the event. Don't forget to follow him on Twitter (@cdevroe) as well! My brother, Russell, decided to take another stab at blogging. He had a blog some time ago which he stopped updating. The title of his new blog is somewhat....shall we say PG-13? Children cover your eyes. "I was born and raised in NEPA, Originating in Wilkes-Barre, and later moving to the Poconos. I'm 25 years old and I've seen a lot of this world in the short time I've been on the planet. I figured it's about time i get my point of view out there for people to read." He's also on Facebook and @rhryvnak on Twitter. Follow at your own risk. Our header image this week is another in a series of photographs provided to us by NEPA's first (and so far, only) three-legged dog blogger, Ada Mae Compton. This image of Sanguinaria canadensis, also known as Bloodroot, was taken at Ives Run State Park, Tioga County. 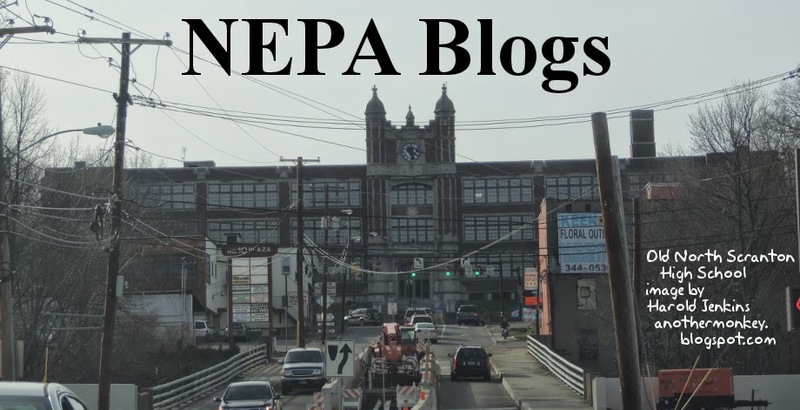 If you have any photos you would like us to feature as the NEPA Blogs header for a week, please drop us a line at nepablogs@gmail.com! If it was good enough for Johnny, it's good enough for you. Ward has written for wire services, daily newspapers and an alternative news weekly. He also created the Johnny Cash Flower Pickin' Festival in Starkville, Miss., and has a master's degree in public policy and administration. If you didn't already know, "Starkville City Jail" is a song by Johnny Cash. If you are so inclined, you can listen to the song and the story behind it on Youtube right here. 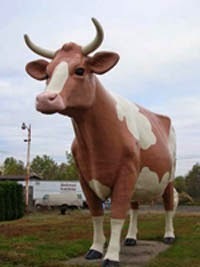 You can follow Robbie's adventures in NEPA on his blog located at http://www.starkvillecityjail.com, also on Facebook, and Twitter (@rscottward1). Our PA Live! Blog of the Week this week is Sundays with Shivstopher (http://sundayswithshivstopher.com/). Sometimes people can get pretty down about this region, focusing on the corruption and the economic hardships, fearing that an exodus of talented, educated people to greener pastures has left us at a significant disadvantage. Chris and Shivaun, like so many other talented bloggers in this region, show us that this is not true, that talented and educated people do make the choice to stay here in Northeastern Pennsylvania. Tune in every week to catch their latest adventures on "Sundays with Shivstopher!" Back when we added the NEPA Freethought Society blog in December of last year, we noted that the site contained a link to their archived podcasts. Justin Vacula of the NEPA Freethought Society has just informed us that these podcasts have their own RSS feed. So we can actually treat the podcast page as though it's a whole other blog! I've added a link to the NEPA Freethought Society Podcast page to our second set of Live Links. Now you can see immediately when a new podcast has been posted. 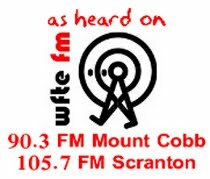 Tom Borthwick of NEPArtisan has a radio gig every Sunday on WFTE, 90.3 Mt Cobb / 105.7 Scranton at 12:30PM. The show is called Politics with Borthwick. Go like the Facebook page and lend him an ear friends, Romans, countryman. He's an English teacher so I couldn't resist the Shakespeare reference.